Curad's Adhesive Moleskin can be used to prevent blisters, corns, calluses and chafing. 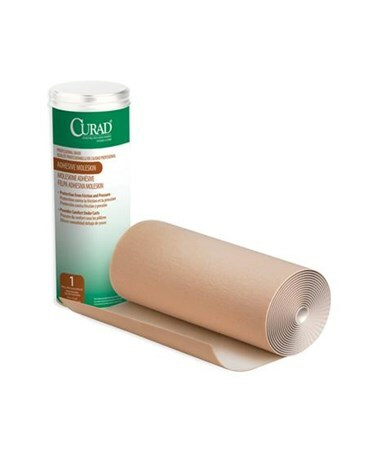 This roll of tan colored flannel has a napped cotton backing on a zinc oxide-based adhesive that helps prevent irritation. The 4 yard roll is 9" wide and can be cut to desired size. 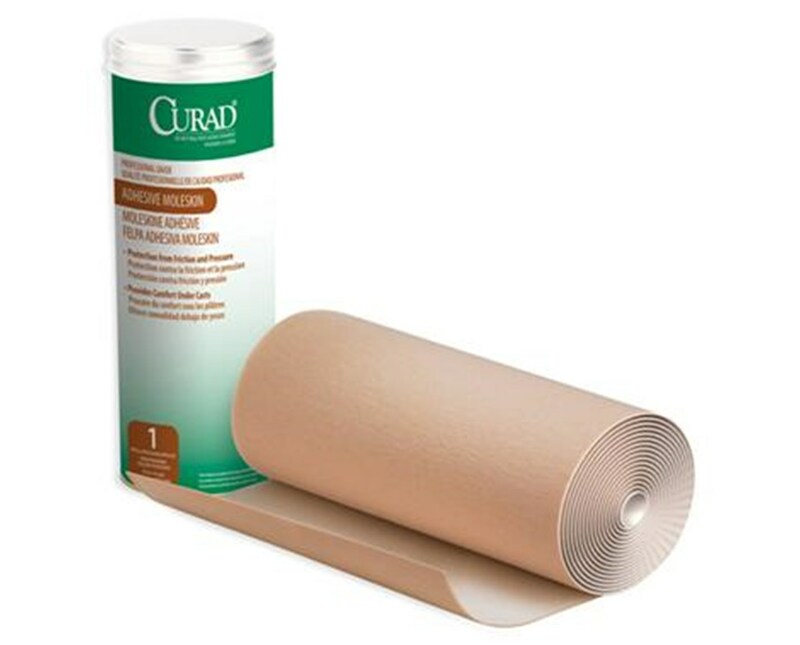 We offer Curad's Adhesive Moleskin Roll by the case, in latex or latex-free varieties. Select from the drop down menu above and order online direct by clicking "add to cart!"